I have seen many things over my long career as an electrician, some good some bad and some so scary it makes you think, what is deemed as a competent person. It was on one evening when I was called to a premise with a problematic immersion heater. Usually when it comes to these sorts of calls it’s the heater element that has burnt out and the customer is left with no hot water at all. On this occasion it was quite the opposite. It was reported that the heater was over heating causing the water to boil back up into the header tank. Upon further investigation I located the problem. Who ever had carried out a previous repair when the element was not heating up had decided to remove the over heat thermostat. Not only had they removed a vital safety feature which would cause the unit to remain on constantly, but they had gone on to misplace the cord grip to prevent the cable from being pulled away & the terminal cover for the unit. It’s been many years since I had last encountered the use of a Stork SB margarine tub for an I.P. box! But this was a new one. 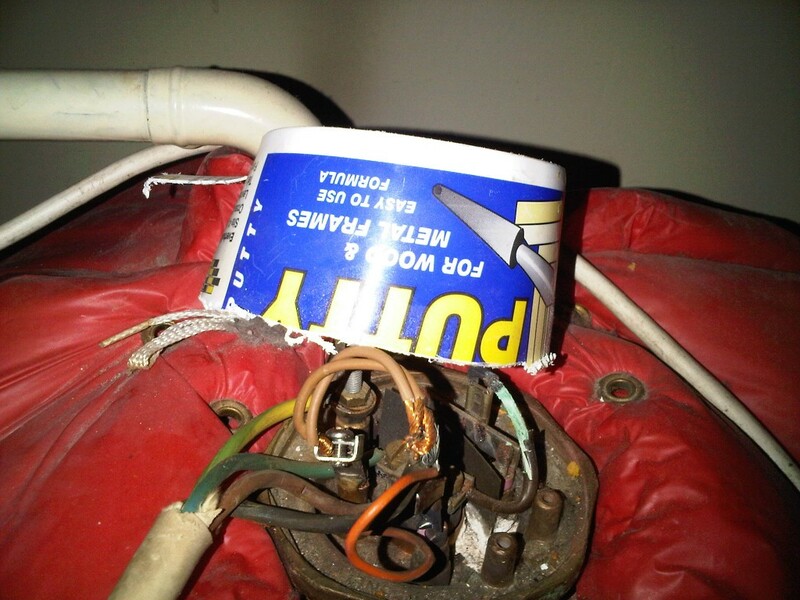 The water heater element terminal cover had been replaced with the bottom of a putty container! Competent person? It would only have taken a small nudge from a child to expose live terminals and cause serious injury. Needless to say I isolated the supply immediately to eliminate the risk of electric shock until a full repair could be carried out. Element, Thermostat and flex changed and now one very safe happy customer. Make sure no matter how small a repair, use a competent electrical contractor. If you need any electrical repairs avoid the horror stories and call Intelec Electrical Contractors today on 01274 299876. Electrical Installations & How it Affects You New Changes for Installation of RCD Protection.